Camels are prized by their owners. Did the Qatari breeder kill 15 of his own through negligence, or is the vet to blame? More than two dozen racing camels in Qatar died after their breeder administered a toxic pesticide to their skin. Misfer Safran Al Merri purchased Diazinon from the Al Shahainya veterinary center and then administered it without assistance from veterinary professionals. 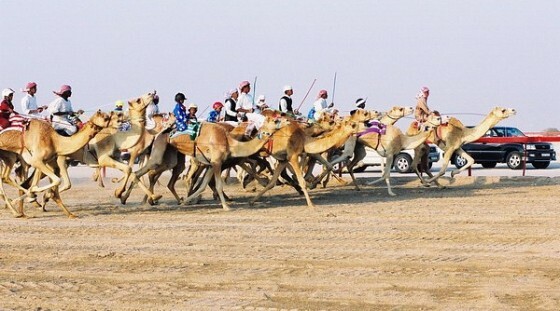 Qatar’s Animal Husbandry department claims that the deaths of 15 top-breed camels (read about camels killed by plastic) and injuries to several others was a direct result of Al Merri’s negligence, but the camel breeder told Gulf News that fault actually lies with poor veterinary services and the substandard quality of the pesticide provided to him. Diazinon is an organophosphorous chemical that inhibits acetylcholinesterase, an enzyme essential for the nerve impulse transmission of mites and ticks. Although it is widely used and the World Health Organization (WHO) classifies it as a “moderately hazardous” pesticide, cases of non-Hodgkins lymphoma have been linked its use in the United States, and the neurological effects of long term exposure to it are being questioned by advocacy groups in the United Kingdom. Administered in low doses, Diazinon is not lethal to animals. Al Merri, who has been using Diazinon for the past ten years, claims that when he diluted the pesticide, it was yellow instead of clear. “I am well familiar with pesticides and have been breeding camels for a long time,” he told the paper. “There is a problem with the state-run vet centres. They have neither pesticides nor medicines to treat ailing animals. They do not have proper equipment, either,” he added. Al Merri is not the first to complain about the animal husbandry department, who he accuses of ignoring his prized camels as they lay dying, choosing instead to collect samples before they left. The WHO recommends against using Diazinon in developing countries, and according to Pan-UK, a group that monitors insecticides and pesticides, claims that residues of the chemical are found in water sources throughout the United States and in many fruits and vegetables.